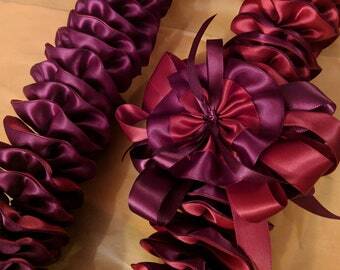 This gorgeous lei is constructed using 7/8" satin ribbon with 2 colors back to back. Can be made as classic plumeria with white/yellow or white/pink. 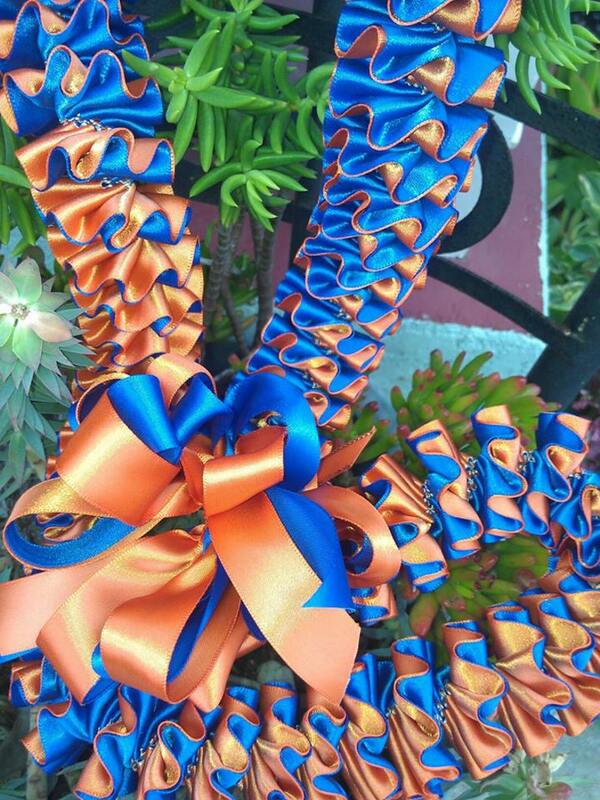 Beautiful as a graduation lei with school colors...send me a message if you'd like to discuss color choices. Great keepsake that can be worn over and over for luau's, parties, and celebrations! Finished lei will be approximately 42"-44". Please allow 1 week for construction and I will mail out using USPS priority mail.